We all used some kind of remedy for capped and dry lips, especially during winter. Here’s what I’ve always wished for in a lip balm…good, subtle color, but with the certainty it wouldn’t damage my lips…and a vegan product, moisturizing for the lips. Our Sensual Lip Balm will enhance your lips' natural color...moisturize lavishly and gently plump your lips. Colors used in lipsticks are generally not natural and are almost always animal-derived. But we found mica root. The term mica names a group of naturally occurring minerals, purified and powdered. Mica is highly reflective and is prized for its shimmery, pearlescent sheen. We all hear about lip “plumping” products. Some of these give your lips a grotesque look. I want none of that! But imagine a little oil that could improve blood flow to your lips, rejuvenating them, and, yes, give them a little plumpness as a result. Such an oil exists — cinnamon oil. You’d have to be careful using this oil, undiluted, directly on your lips — they’d swell and you’d be super uncomfortable. Fortunately we’ve added just enough cinnamon oil to make your lips just a little plumper and give you no discomfort. Our Sensual Lip Balm is a vegan product. You’ll get the look you want, with no side effects. You’ll look lovely, and feel good about the product you’re using. Ricinus communis (castor) seed oil, Helianthus annuus (sunflower) seed oil, Euphorbia cerifera (candelilla) wax, caprylic/capric triglyceride, Butyrospermum parkii (shea butter), Limnanthes Alba (meadowfoam) seed oil, Mangifera indica (mango) seed butter, Cocos nucifera (coconut) oil, Copernicia prunifera (carnauba) wax, Cinnamomum zeylanicum (cinnamon) leaf oil, mica, mixed tocopherols. 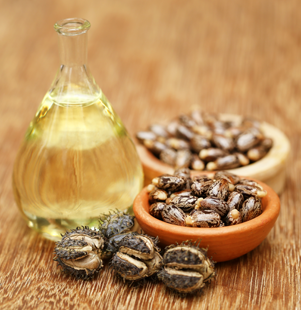 Ricinus communis (castor) seed oil has been used for centuries to protect the skin from dehydrating in desert climates. You already know I love Castor Oil for hair roots, eyelashes, and around the eyes. But it’s also wonderful as a key ingredient of our lip balm. Castor oil’s high concentration of fatty acid may offer anti-microbial, anti-fungal, anti-inflammatory, and pain- reducing effects. Castor oil penetrates deep into the skin of your lips, making them fresh and supple by attracting moisture to your lips. 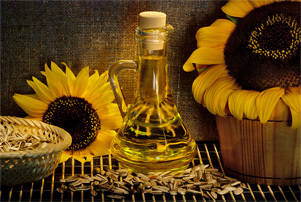 Helianthus annuus (sunflower) seed oil. We chose fast-absorbing sunflower seed oil as a key ingredient as it’s extremely light, so it won’t clog your pores. Sunflower seed oil’s high nutritive value makes it one of the healthiest food oils—it contains lecithin, carotenoids, tocopherols, and even Vitamins A, D, and E)—and therefore one of the healthiest to apply to your lips. Its high Vitamin E content helps prevent UV and UVA damage and keeps your lips smooth. Sunflower oil is a great source of beta-carotene, which makes your lips more resilient to the sun’s rays. Sunflower oil’s antioxidants can also halt premature aging of your lips and help prevent acne. Euphorbia cerifera (candelilla) wax is a vegan alternative to beeswax as a natural thickener and moisturizer. We include it for its natural emulsification properties, which give smooth texture and convenient application. Rich in nutrients, candelilla is known to reduce inflammation and irritation caused by allergic reactions. Caprylic/capric triglyceride. This oily liquid, made from coconut oil and glycerin, brings emollient qualities and skin-repairing features. Its mix of fatty acids help repair quickly and form a barrier on the lips’ surface against moisture loss. These triglycerides help create the smooth, silky texture of our lip balm. Butyrospermum parkii (shea butter). 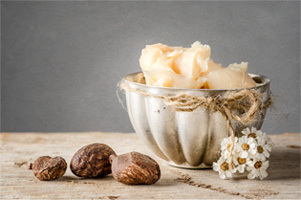 Extracted from the nut of the African shea tree, this “butter” contains vitamins A and E, helping your lips look and feel smoother, softer, healthier, more elastic. Shea butter protects the lips’ delicate skin from sun damage and harmful free radicals. Limnanthes alba (meadowfoam) seed oil, which doesn’t readily evaporate, keeps your lips from dehydration. We include meadowfoam to ensure water and oil are balanced, for smoother, fuller lips. Mangifera indica (mango) seed butter derives from the seed of Mangifera indica, the “apple of the tropics.” A superb source of beta-carotene, vitamins A and E and essential fatty acids, mango is ideal for giving immediate hydration for your We chose mango for its emollient properties and its ability to reduce skin cell degeneration. Mango seed butter promotes healing and helps combat the drying effects of soaps and cleansers. Cocos nucifera (coconut) oil. This natural oil, from the dried inner flesh of the coconut, rich in fatty acids, is silky smooth and easily absorbed. Coconut oil is one of the few sources of short- chain fatty acids such as lauric, capric, myristic, and palmitic acids. We include it because it creates a natural barrier against moisture loss, offering antibacterial properties that help heal and repair the skin. 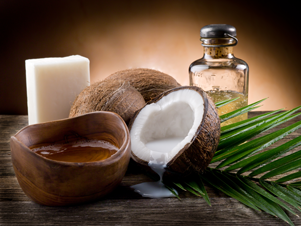 Coconut oil is also a great natural alternative to commercial sunscreens. Copernicia prunifera (carnauba) wax amplifies the natural shimmer of your lips. This wax comes from the leaves of a Brazilian palm tree. It’s the hardest natural wax in the world, which allows you to wear our lip balm even on hot days. Most lipsticks and lip balms use lanolin, which can clog pores and lead to breakout. But carnauba wax is far safer. Cinnamomum zeylanicum (cinnamon) leaf oil’s warming effects release muscle aches and sprains—even pain of rheumatism and arthritis. It gives the lip-plumping effects of our balm, thanks to its phenols—specifically eugenol, which offers anesthetic, antiseptic, antimicrobial, and antioxidant properties and a certain “spiciness,” activating the plumping of your lips. Attention: now we’ve boosted the cinnamon content to 3%. Mica. This translucent, shimmering silicate mineral has been used throughout history in creating cosmetic pigment in cosmetics. As an ingredient in our lip balm, it reflects light from your lips, for a smoother, radiant tone. Tocopherols are a group of vitamin E compounds found naturally in vegetable oils, nuts, and leafy greens. Vitamin E encourages rapid healing of your lips due to its antioxidant properties, which help fight free radicals.